The project extends a first floor two-bedroom victorian 'Ex-Warner' flat, in one of the areas of purpose built flats similar in style around Walthamstow, similar in type to a previous project. 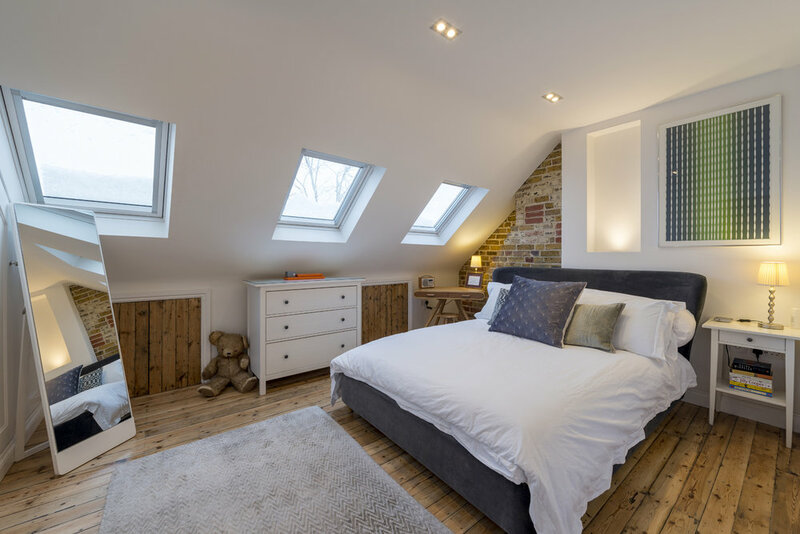 A roof extension converts and extends the roof with a dormer across most of the width, to create a double bedroom and spacious shower room in the newly added loft space. 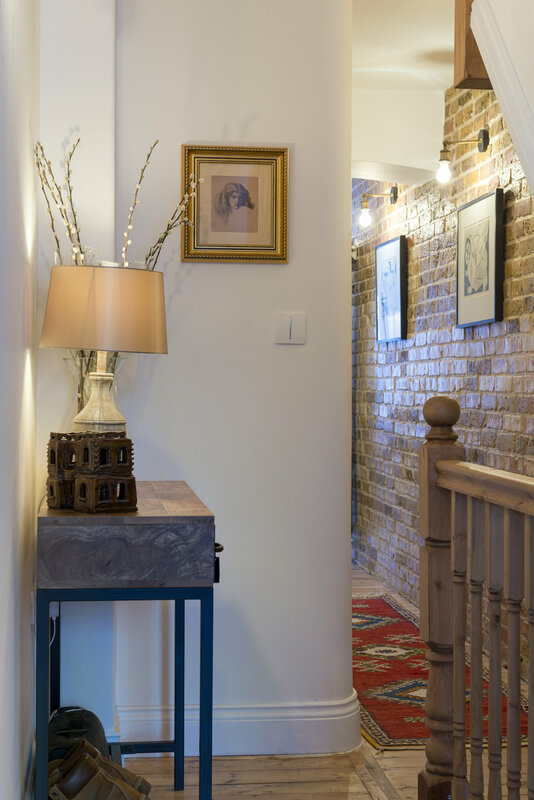 Additional spaces were exploited wherever possible to create recesses for storage and to add visual interest, and a rich materials palette was used throughout maximising the most of existing brickwork and timber floors to add warmth and texture to the spaces. The works also included alterations to the existing first floor to create a better-planned bathroom and kitchen, such as to allow critical adjustment to the bathroom layout to give this a greater feeling of space. 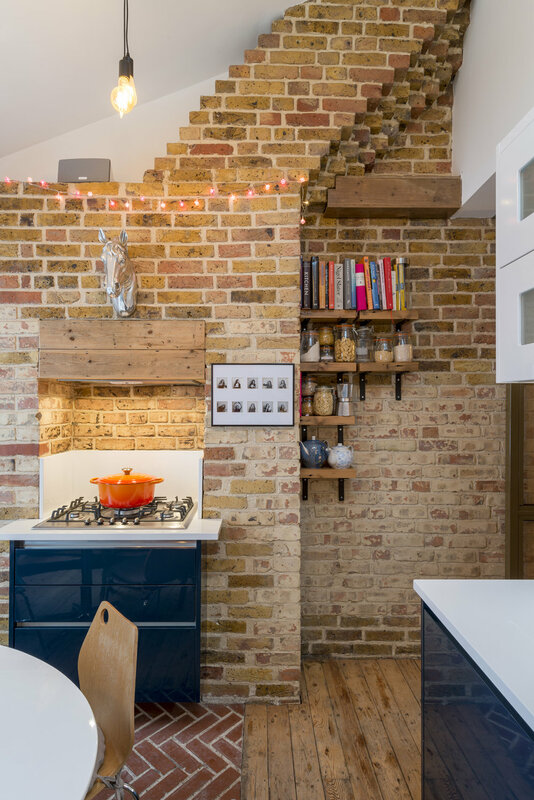 The kitchen was relocated to the rear of the flat and ceiling removed, plus rooflight added, to make a dramatic vaulted space with additional light and options to ventilate in summer. The addition and alterations deliver a generously sized 3-bedroom flat for comfortable living but also entertaining, maximising period features while allowing the client to explore their own strong aesthetic sensibilities.